This is the yacht future king Mohammed bin Salman bought last year for over $300 million. To say the Saudi line of succession has been sclerotic is to underestimate the ravages of sclerosis. It has barely been a succession, as far as we usually understand it, as the kingdom hasn’t moved forward a generation since Ibn Saud kicked it in 1953: it has just been a series of his sons, a bunch of dyed-bearded princelings handing the crown sideways to each other for 60 years. There’s been more dynamism in the staid permanence of Queen Elizabeth. But that had to change. As prolific a progenitor as Ibn Saud was, eventually he was going to run out of sons. The current occupant, Salman, was one of the last born, in 1935. He’s 81 years young, and just yesterday announced one of the bigger shakeups in Saudi Arabia’s brief history. King Salman of Saudi Arabia promoted his 31-year-old son, Mohammed bin Salman, to be next in line to the throne on Wednesday, further empowering a young, activist leader at a time when the kingdom is struggling with low oil prices, a rivalry with Iran and conflicts across the Middle East. So whence the trigger for this move? Well, there are competing reasons. The first is that bin Nayef might have fallen slightly out of favor due partly to the weird diplomatic attack on Qatar. That’s probably unfair to him, since they were given a tacit (and then essentially explicit) ok to do so from Donald Trump (which is a sentence that will never seem like it makes sense: “Wait, the guy from The Apprentice?” It sounds like a dispatch from Bizzaro World, which, I suppose, it is). Despite Trump’s deeply unserious and self-praising blundering, the State Department yesterday came out strongly against KSA and UAE, with some deeply undiplomatic language. Perhaps one element of the king’s announcements that may have caused surprise was their timing. But with the Saudi-led campaign against the Houthis in Yemen attracting wide support in the kingdom and throughout the rest of the Sunni Middle East, where it is seen, rightly or wrongly, as a long overdue and muscular retort to the growth of Iranian influence, this was a good time to promote Prince Mohammed bin Salman. As minister of defense, Mohammed bin Salman has been presented as the man in charge of the air campaign and the architect of what may be seen as a rare Arab military success. It is likely that the impact of the campaign has now peaked, with little more to be achieved against a relatively powerless neighbor without a far more tricky and uncertain ground operation; the elevation of Prince Mohammed bin Salman may therefore have caught his popularity on the flood. Yup. That’s pretty much the long and short of it. Bin Salman was barely known before the war against Yemen, or against Iran, started. But he quickly won favor with a stirring series of military successes based entirely on indiscriminate carpet bombing. 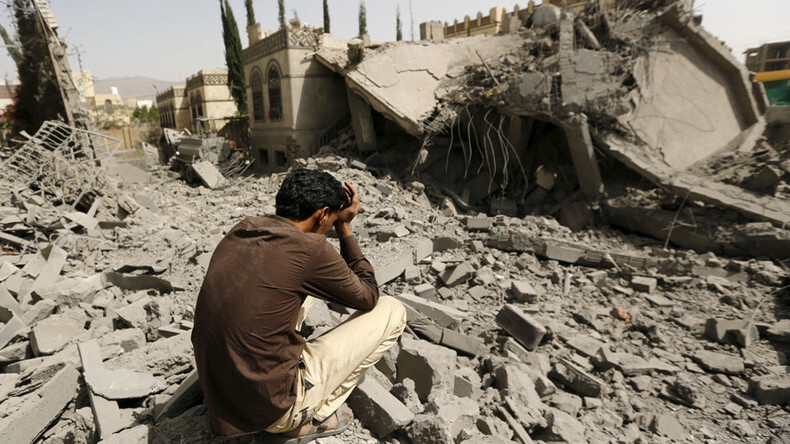 It got so bad that the US Congress intervened on arms sales to Saudi Arabia, briefly. Now, of course, the floodgates are opened. Team Trump sees Yemen as an “area of active hostilities”, wiping away even the pretense that Yemen was a humanitarian situation more than a war zone (and, to be fair, Obama barely kept up even that pretense). They look at Yemen, and see a spot for ISIS and AQAP, but mostly they see Iran (and probably conflate the threats). And so the elevation of bin Salman, who is perhaps the strongest Sunni voice for anti-Iranian belligerence, sees his kinghood at least temporarily assured. One can’t blame this entirely or even largely on Trump or on the United States, of course. The rivalry has been brewing for decades. Centuries, really, but not being strict determinists, we’ll look at the political battle between Saudi Arabia and Iran from a contemporary geopolitical lens. It’s the “big war” in which all the little wars are fought. It’s a cold war which is getting hotter, and proxies are not being added as much as adopted. 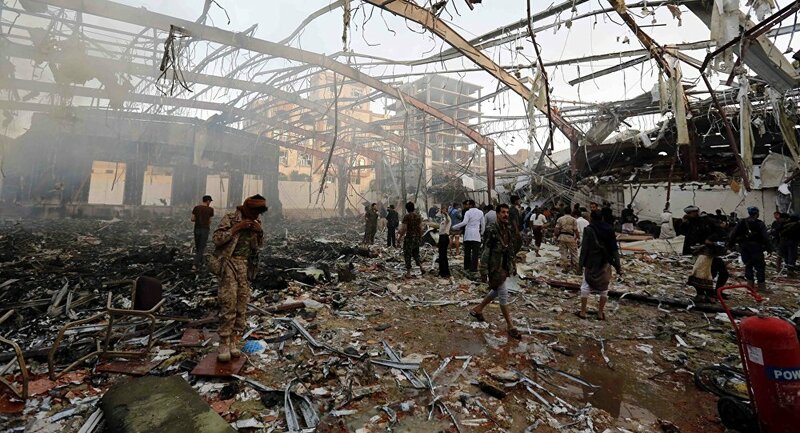 The war in Yemen would have happened without Saudi and Iranian interference; indeed, they more or less just chose sides, Iran more so because everyone already thought they did, and so had to save a little face. Syria, same. So every generational conflict is now being subsumed into this big war, which amps up the carnage and lowers the chance of any kind of decent revolutions for decades. For an example of how this can spiral out of control for generations, look at how Afghanistan’s internal strife hasn’t stopped since it got further ground up in the abattoir of US/Soviet politics. And we only had like 30 years of hating each other at that point. 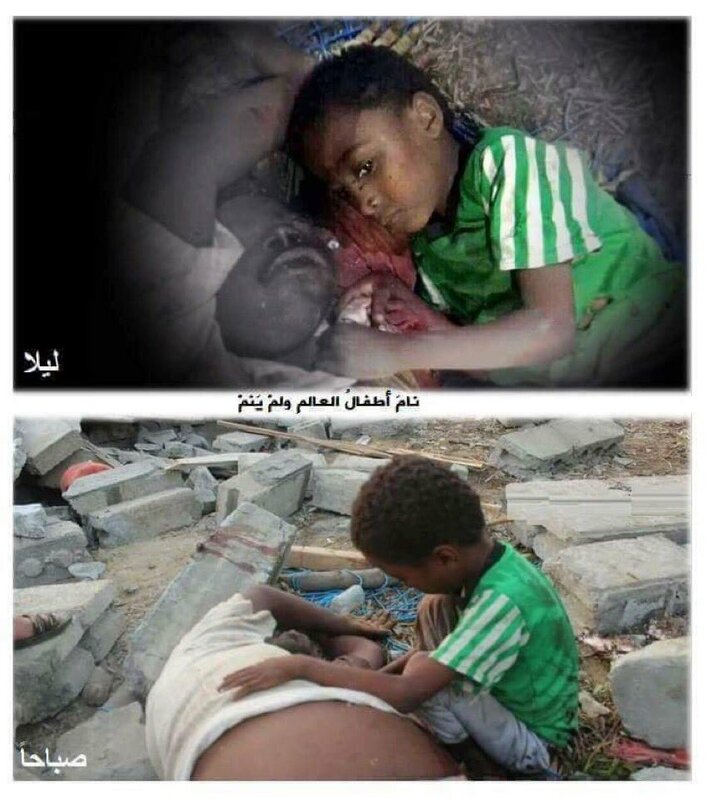 Yemen’ agony is unbearable. The nation “on the brink” for 10 years has fully topped over. It will never be whole. Famine and disease will wreck it. Bin Salman is not its only oppressor. These wars have been brewing and exploding through avarice, short-sightedness, and petty politics. But he is most responsible for the sheer reckless destruction and degradation of anything resembling a functioning state. And now that has been elevated. This war, both big and small, is just getting started. Be honest: how many of these countries do you think our next President could name. Two? Maybe three? It’s one thing for the President not to know a lot about an issue. It’s another thing to know nothing about an issue. And it’s another thing altogether to be as bone-dumb and ignorant as Trump.